Austin—and Central Texas—is growing. And we have been for a while. 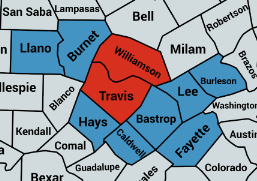 Going off of Census estimates, Williamson and Travis counties have a combined population of around 1.77 million people. If you add in the populations of the counties to the northwest and southeast, our service area has about 2.22 million people overall. We don’t, however, often talk about the impact population growth has on our local blood supply. And honestly, we totally understand why. If you or someone you know haven’t been the recipient of blood or platelets, the entire concept can seem a little far-fetched. You see, donated blood and platelets just don’t last forever. Donated platelets only have a shelf life o 5 days, whereas donated whole blood lasts for 42 days. And unfortunately, we have a limited number of folks who are willing (or able!) to donate—especially when it comes to platelets. So, what are platelets, you might ask? Well, simply put, they’re a component of your blood and they help your body heal. Patients need them when they’ve been in traumatic accidents, or if they’re having a planned (or unplanned) surgery, or when they’re undergoing chemotherapy treatment, or for help in the treatment of one of the countless blood disorders that exist. These patients NEED platelets, and the only way WE can provide them is if folks donate them. Since platelets expire only five days after donation, we can’t stockpile on good days and then let that carry us for a few weeks, because we can’t freeze them. And, surprisingly, there is no synthetic alternative to donated platelets. When a patient needs to receive a platelet transfusion, they must receive that transfusion from a kind person who donated them less than five days prior. Remember at the beginning when we were telling you about how big our service area is? The blue and orange counties are the ones we serve. The blue ones receive blood products from us, and the orange ones are where we have donor centers where we can collect platelets. 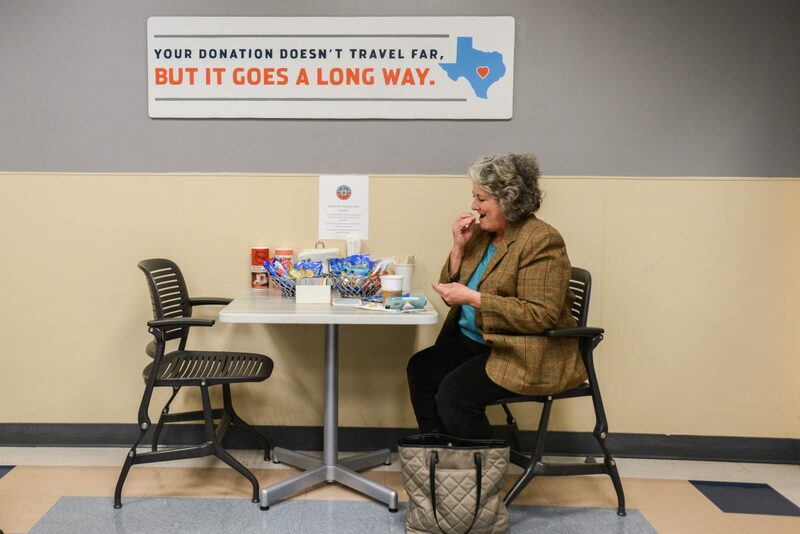 While we do have donors that come in from other counties to donate, the bulk of our platelet donors are in Williamson and Travis Counties. In contrast to our very large population numbers, we have had only 1039 active platelet donors so far this year. And don’t worry we’ll dive deeper into what these demographics mean and why they’re important in later posts. So, why are we telling you all of this? Well, because this is a call to action, of course! As it stands now, we do not have enough consistent platelet donors to meet and support the needs of our area’s growing population. This is an opportunity for YOU to make a life-saving difference for other people… while catching up on your favorite Netflix show or reading a book. If you’d like to learn more about the platelet donation process, please send an email to platelets@weareblood.org, call 512-206-1231, or text 512-529-7246. If you’ve donated with us before and use our donor portal, you can also login there to make an appointment and try it out, too. One way or another, we hope you’ll try it out soon.